It's back-to-school once again, most of us are also back to routine of waking up early morning, searching for pack lunch ideas and bring kids to school. Before going to bed, we assist them in making their homework. We don't have kids yet but I have a husband working as a part-time college professor. Like you, I also wake up early to prepare his baon lunch and snacks. Not just simple lunch but healthy and nutritious food. Anyway, are you still on the look out for school materials and supplies? Not yet done with the back-to-school shopping? 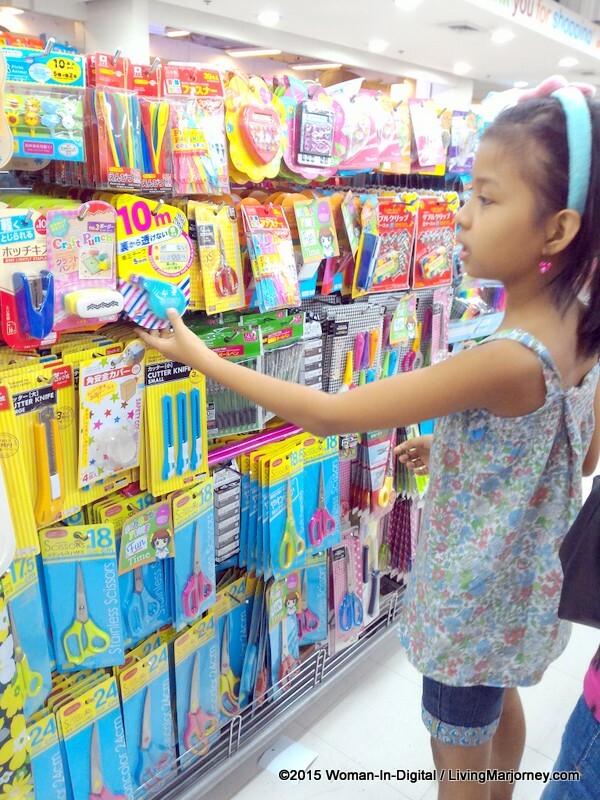 A couple of days ago, I took time off from online job to join my younger sister Tina and her daughter Bianca do some quick school supplies shopping. 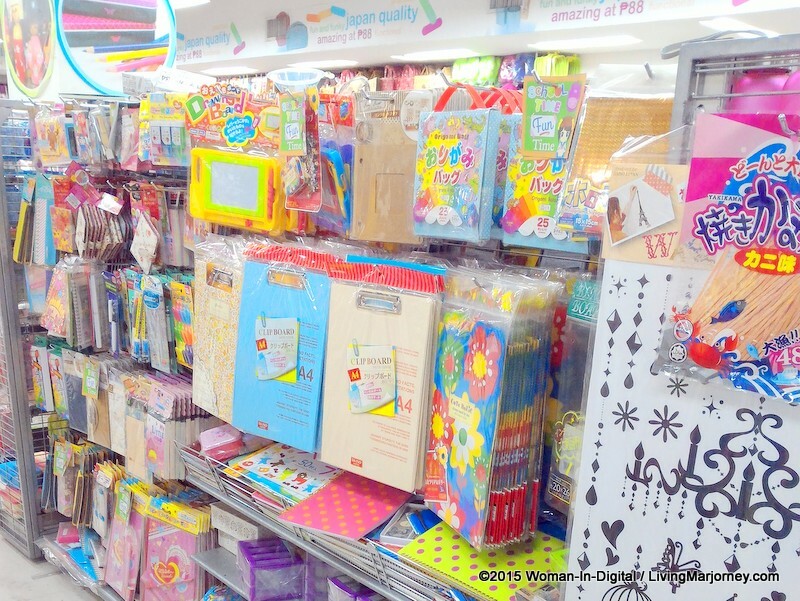 Instead of going to the bookstore, I invited them to try funky, pretty and unique Japanese merchandise in kawaii designs available at Daiso Japan. Good thing there's one inside True Value store in Trinoma Mall. Oh, I love this shop. Quite huge store and they have almost everything you need - cleaning materials, kitchenware, bed sheets, tables and chairs, home decor. Daiso Japan have good quality products from personal care to cute tea cups and Japanese wares. 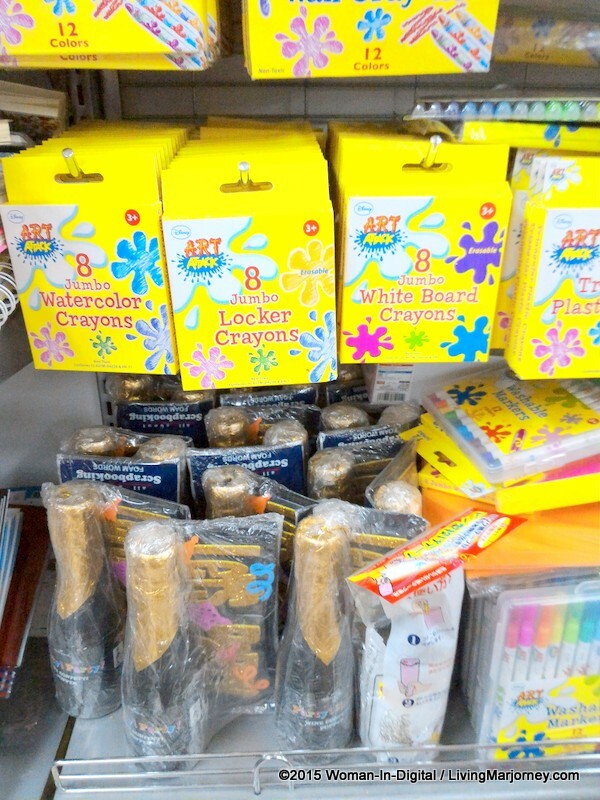 But did you know Daiso Japan has school supplies too? 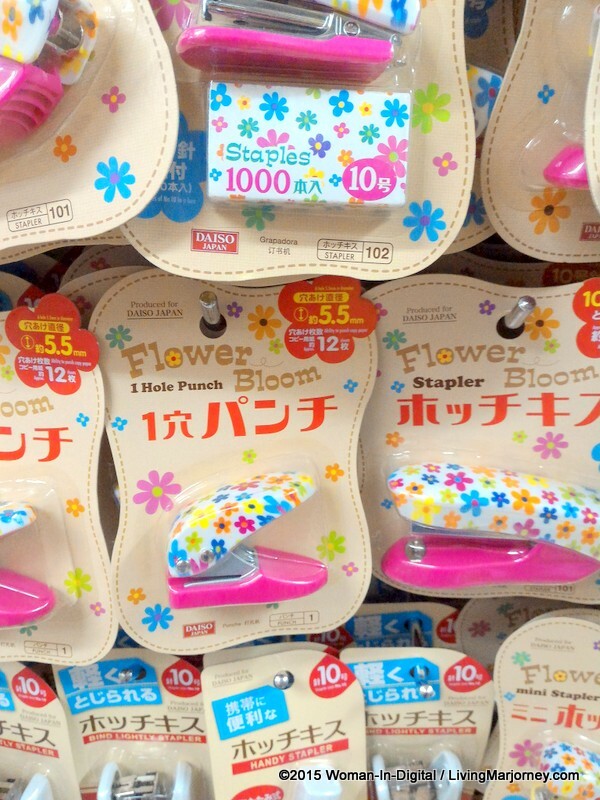 The art materials are cute and in kawaii designs. Tina arrived with a list of back-to-school items so we don't have to miss one. In addition, there are pretty items that can be attractive so better stick on list. 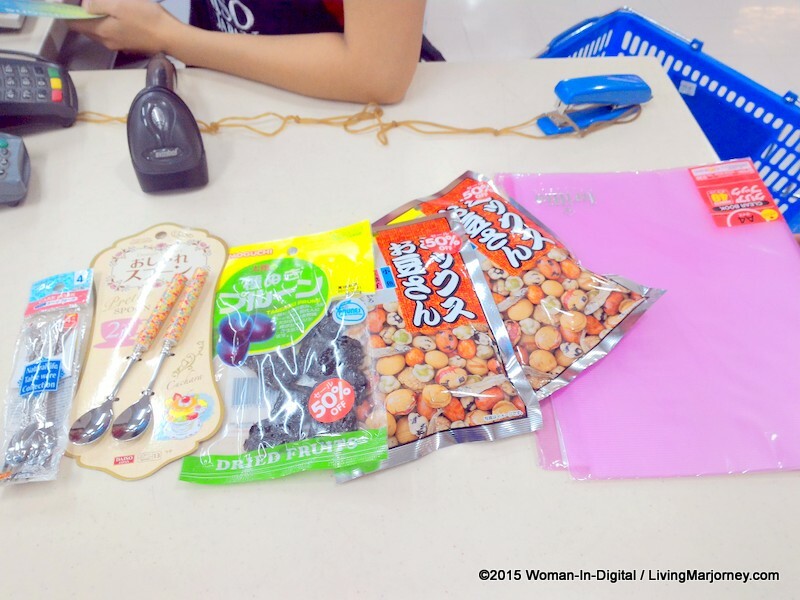 What I like here in Daiso Japan is their budget-friendly goods. Most items are sold at P88, sometimes there are items at 2 for P88. During our fun shopping, I spotted items at 50% off. My niece was excited when she saw sticky notes, binder pins, highlighters and crayons, erasers, lots of art materials. Tina allowed her to choose designs but of course with supervision. When the child simply wants the item we explain to her why we should only buy those needed at school. 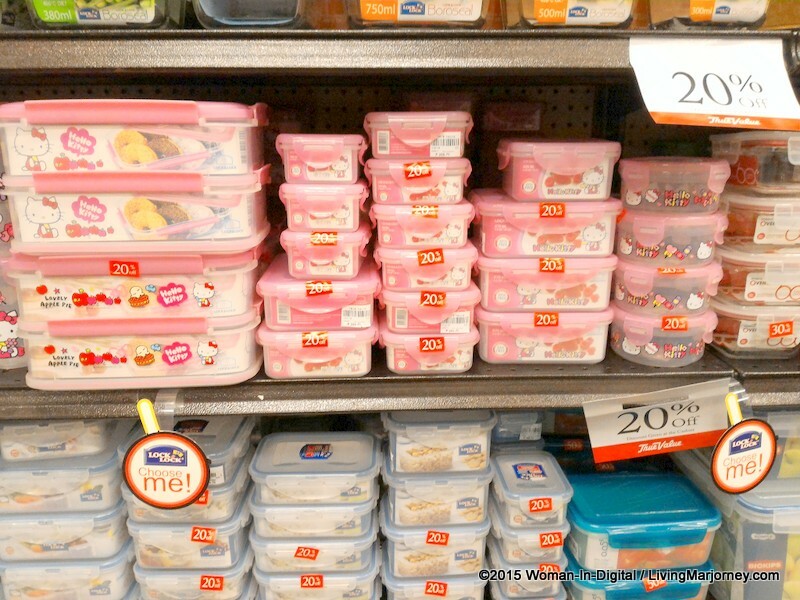 Hello Kitty lunch boxes with matching utensils, or cheerful-looking stationery pads where they can scribble their school notes. Who doesn't like these face towels, water bottles and foldable fans that are always fun to have in their school bags. My niece and nephews would surely love these cute and kid-friendly school supplies from Daiso Japan. This is what I got for myself. I just can't get enough of these cute dessert spoons and forks, bought some for Instagram purposes, lol! A pack of my favorite dried prunes and mixed nuts for midnight snacking and movie marathon. 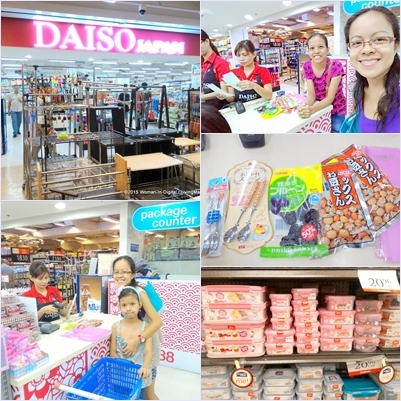 Daiso Japan is one of the retail formats under Robinsons Retail Holdings Inc. that holds the exclusive sub-license to sell authentic Daiso merchandise from Japan and operate the legitimate Daiso Japan store concept in the Philippines. To know more about Daiso Japan Philippines, visit them Daiso on Facebook, IG. Follow me on Facebook, Instagram and Twitter or subscribe via email here. 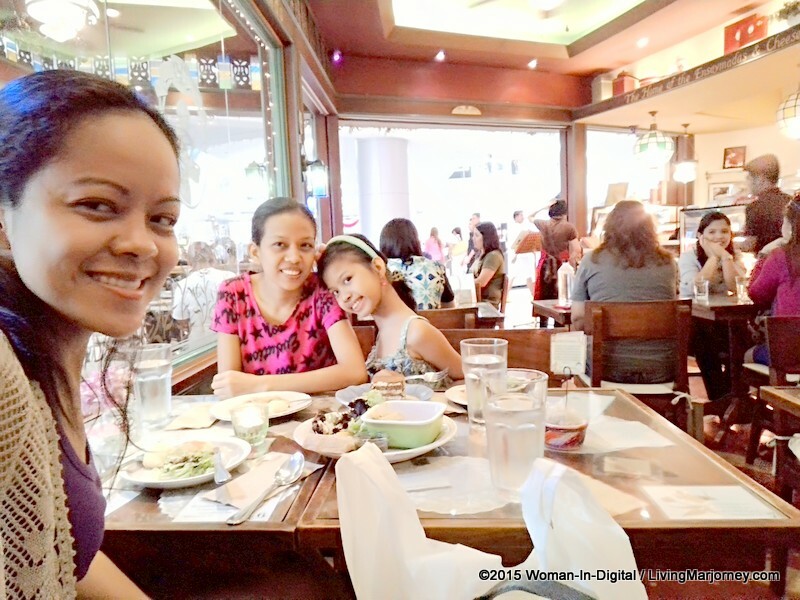 After our fun shopping at Daiso Japan, we had a scrumptious meryenda at Cafe Mary Grace - salad with grilled chicken, pasta with olives, tiramisu cake and cheese roll. Overall, it was a well-spend afternoon with my sibling and niece. My #OneDayInSeven, a compilation of photos I started to create to honor God in spending one day away from busy work and gadgets. Ask ko lang po kung saang parte ung true value like ano po ung mga katabi niya store na malapit? Ask ko lang po kung ano ung mga kalapit na store ng true value sa trinoma?